This week's collection is full of minimal logos. Companies only using their name to create their branding. Some of these are well known and some I've just stumbled across while browsing for other things online. These are some of my favourites. Seen any that you love? Pop a link in the comments. This coffee shop logotype is the inspiration for this post. I love the clever ligature; the Y connecting with the apostrophe. Nick Brue has a great collection of simple and eye-catching pieces. I doubt this is the last time his work will show up on this blog. The work of Alan Fletcher has been inspiration for designers for many years and will be for years to come. His logo for the Victoria and Albert Museum is classic, simple and elegant. You can't talk about typographic logos without mentioning this timeless piece. Designed in the late 1800s with minimal changes over the last 130 years, the Coke logo is one of the most recognisable logos in the world. The font used is a stylised version of Spencerian script, a popular font used in the time of its creation. I tripped over this little guy on Pinterest (you can follow my Pinterest here if you're keen). Created by Sydney design group Made for The Path investment group, this beauty is clean and versatile. If you want to see some real slick pieces of design, jump on to the Made Agency website, it's a real treat. This, to me, is the Coca-Cola logo of today. Italio may or may not reach our shores or each and every country of the world the way that Coke has but this simple, modern typeface is not only neat and legible but it still has a lot of character and could very well stay with its company for life. Welcome to The first Treasure Box post. This week's finds for the Treasure Box are a few elegant examples of the use of floral work in designs. Enjoy and feel free to tell me your favourite or show me your finds! When putting this collection together my thoughts immediately went to this grungy piece by the Swedish design agency, Snask. 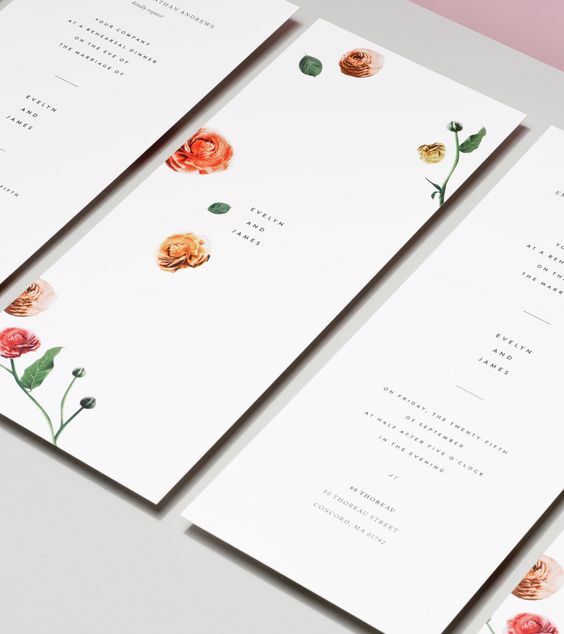 The combination of the dark and delicate floral collage with the stark white, rough hand scrawled lettering really challenged my perception of what makes for a good event advertisement. This piece is fun and feminine. While there is a bit going on, its minimal palette keeps it from looking "too busy". I can't get enough of that armchair either. I've only recently discovered Anne's work. This artist from The Netherlands uses pressed flowers, cut images, butterfly wings and array of found pieces to put together these magnificent pinned creations. This piece won me over with the little green Paphiopedilum at the top.